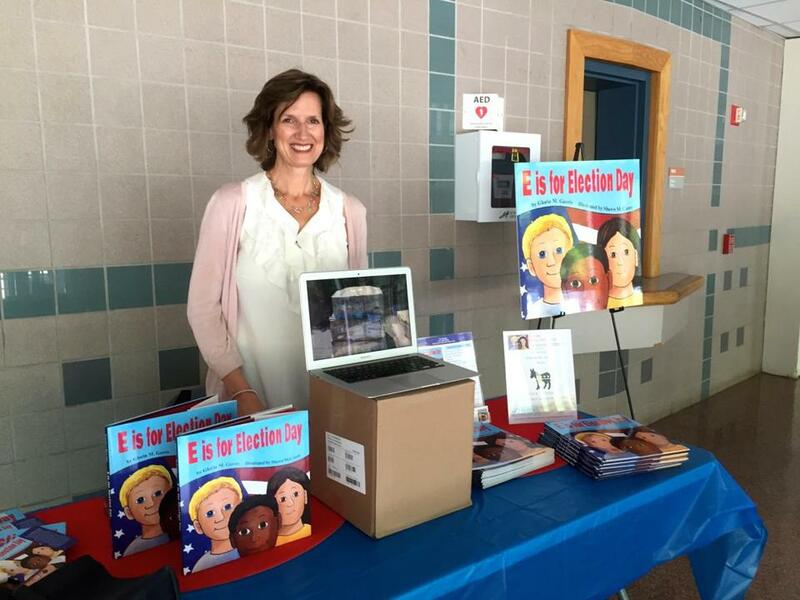 Gloria Gavris of Newton wrote her book to inspire enthusiasm among youngsters for the American electoral process. Growing up in a political family equipped Gloria Gavris of Newton with firsthand insight into the power of voting. Her brother, Frank Mastrocola Jr., became a state senator at age 24, winning a special election in 1977. Their father, Frank Mastrocola Sr., ran two tightly contested mayoral elections in Everett in the 1980s. Her new book, “E is for Election Day,” leads readers on a bipartisan tour, from A through Z, of the country’s electoral process. Illustrated by Shawn McCann of Minnesota, pages include B is for Ballots, D is for Debates, G is for Grassroots Efforts, and Y is for You — teaching that everyone has the power to make a difference in government. Gavris dedicated the book to her parents and brothers, and also to her hometown of Everett “for instilling in me my love for election season and civil engagement” as she campaigned in her youth up and down its triple-deckers. As a first-time author, Gavris said, she felt “validated in my message” of promoting that same knowledge and excitement of politics, voting, and democracy when the book was recently recognized with a Mom’s Choice Awards Gold Medal for Non-Fiction Juvenile Children’s Book Ages 9-12. Still a political junkie, Gavris has enjoyed meeting the presidential candidates while selling her book at political conventions. In fact, her greatest hope is to inspire the highest level of political aspiration in her young readers. “E for Election Day” costs $8.95 in paperback and $17.95 in hardcover. For more information, visit www.eisforelectionday.com.